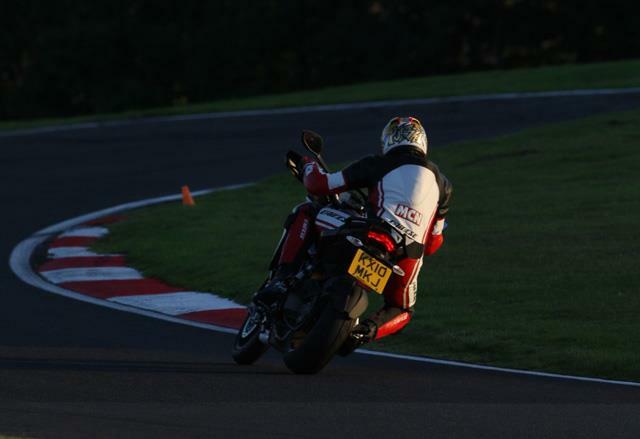 Since picking up my replacement Multistrada Sport arrived (the first one was written off by a colleague) its done some gentle running-in, a few trips out with the mrs, had a first service and been round Cadwell Park. Ducati claimed the bike is four bikes in one, and in its first 700-miles that has certainly been put to the test. Okay this is no track bike but a recent Focussed Events track day with MCN’s Trevor Franklin on his BMW S1000RR, proved that it can cut it on track. For the full story on how the Multistrada fared see MCN on sale Wednesday October 6. In the meantime it’s been a joy to feel the suspension bedding in, the gearbox loosening up and the bike starting to feel nice and loose. The first time I started to rev the motor it had that genuine feel of surprise as the front wheel came up in second gear and that massive rush of top-end power kicked in. It’s easy to forget that this is a pure-bred 150bhp Ducati underneath its all-rounder clothing. For the kind of roads the bike spends it’s life on riding to work I tend to use Touring mode as it work’s better on bumpy back roads and the full-power fuel map isn’t needed on the kind of roads I’m blessed to ride to work on. In fact, MCN’s Kevin Ash has one this year too and we’ve both been chatting that as nice a gimmick as the four fuelling and suspension modes are, the Urban mode is all a bit pointless. As Kev points out, you barely use more than 50 per cent throttle in town anyway so knocking it back to 100bhp is a bit pointless. Plus, I’ve found the urban mode for suspension makes it feel a bit like a bucking bronco with loads of fork dive when you’re constantly on and off the brakes in town. Most of the time I stick it in Touring mode and use Sport when the road flattens out. But as a bike to live with every day it’s proving its worth and I’m falling in love with it the more I ride it. In fact, even my girlfriend Nicola loves going on the back, preferring the pillion on the Numpty to the GS Adventure. THIS SPECIAL Ducati Corse edition Garmin is designed to fit beautifully on the Multistrada 1200S and comes with Ducati Corse branding, stores race circuits and Ducati service centres. The bracket is sturdy and easy to fit and the bike is already set-up to wire it in easily. At speed it’s stable and although smaller than some of the new Garmin wider screen versions and not as easy to use with a gloved hand simply because it’s smaller, it sits nicely on the bike and looks good. Available from Ducati dealers. DUCATI test riders tell me that the Multistrada works well with any general kind of sports bike tyre. The Pirelli Skorpion rear is the first dual-compound, dual-purpose tyre that Pirelli have ever developed and offers tons of grip from the rear but if you’re after more grip then there’s plenty of options. I’ve got a set of Dunlop SportSmarts ready to go on which colleagues from Bike magazine say have transformed their long-term test bike, help put more weight on the front wheel under direction changes and ultimately give more grip. I’ll give you my own verdict soon. Staff Bikes: Ducati Multistrada - What a year!